Beekeepers frequently refer to their bees as their “girls” because all the worker bees are female. Hobby beekeepers, like myself, find it convenient to give them another name identifying a particular hive. I use the street or town from which I got the bees. My Van Gordon girls were my best colony in 2011. 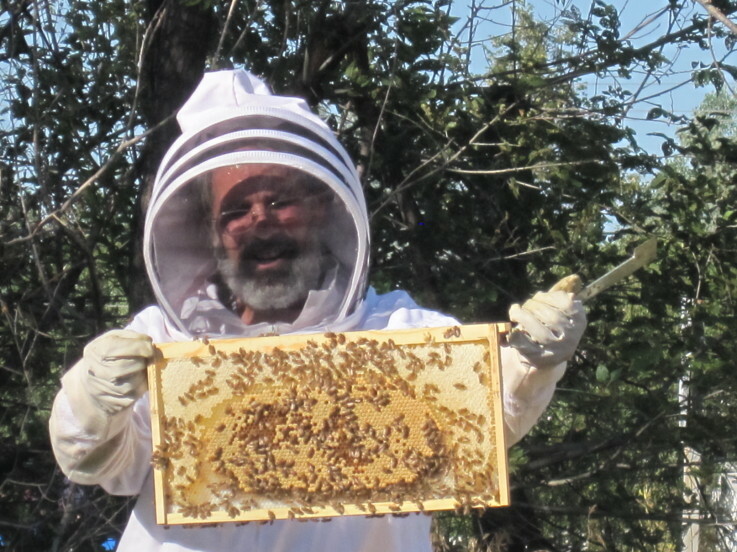 They produced about 90 pounds of honey for me and that much more for themselves. Unfortunately, with the help of U.S. EPA and Bayer, the Van Gordon girls were dead as of October 10, 2011. The colony was probably 100,000 bees strong August 21, 2011 when I harvested the honey, and here was normal activity at the entrance on October 2. But on October 10, all the bees were gone. How can a colony of so many bees suddenly disappear leaving behind plenty of honey and pollen stores? It’s a story of corporate influence by Bayer and political complacency by the EPA. Bayer manufactures an insecticide called imidacloprid which is in a family of systemic poisons called neonicotinoids. Bayer sells you this stuff under the pretense that it is somehow good to rid your world of insects (insects, a key element in a healthy ecosystem). EPA registered Bayer’s clothianidin, another neonicotinoid, in 2003 under the condition that a field study be conducted to determine the impact on beneficial insects (namely honey bees) by December of 2003. Then EPA asked Bayer to do the study. Bayer chose to comply with that request August 1, 2006, nearly 3 years after the deadline. EPA then further delayed progress, reviewing the study November 16, 2007, but approved full registration based on this study. On November 2, 2010, EPA reviewed the study again and found it not adequately sound for registration. Did the EPA remove registration for clothianidin? No. In 2010, the 7th full growing season of use, clothianidin was used on approximately 237 million acres (96 million hectares) of corn, soybean, wheat and cotton in the U.S. alone. How much neonicotinoid does it take to kill a bee? Not much: at the rate of 0.5 mg/kernel, one corn seed contains enough to kill over 80,000 honey bees. How much does it take to significantly injure a bee? So little, you can’t even measure it. In fact, deliberate exposure to undetectable amounts have been shown to cause increased susceptibility to Nosema, a bee gut disease. According to Vera Krischik, an entomologist at the University of Minnesota, imidacloprid expresses itself in soil-treated plants (like garden flowers) at a much higher dose than it does for seed-treated plants (like corn). She found imidacloprid in nectar from seed-treated plants at less than 1 part per billion, while soil-treated plants produced nectar containing 40 parts per billion. That’s 40 times more for the casual gardener than for the big agriculture farmer. How long will this poison be with us? The half-life for clothianidin is 148 to 1,155 days, depending on the soil density. It accumulates in the soil over multiple years of planting. And according to EPA, “42 to 59% … remained in the soil approximately 3 to 4 years … and residues were primarily undegraded clothianidin.” That means it will be present in ANYTHING that grows in that soil for many years after we quit applying it. Further, we now know that the talc dust exhausted from planting machinery is highly toxic on contact and drifts clothianidin to surrounding fields. CCD is not a mystery, nor is it a disease. It’s just the normal and predictable result of our race to cover the planet with poison. Poison that is made, via marketing, to sound very good. Please, quit buying it. Please, quit using it. 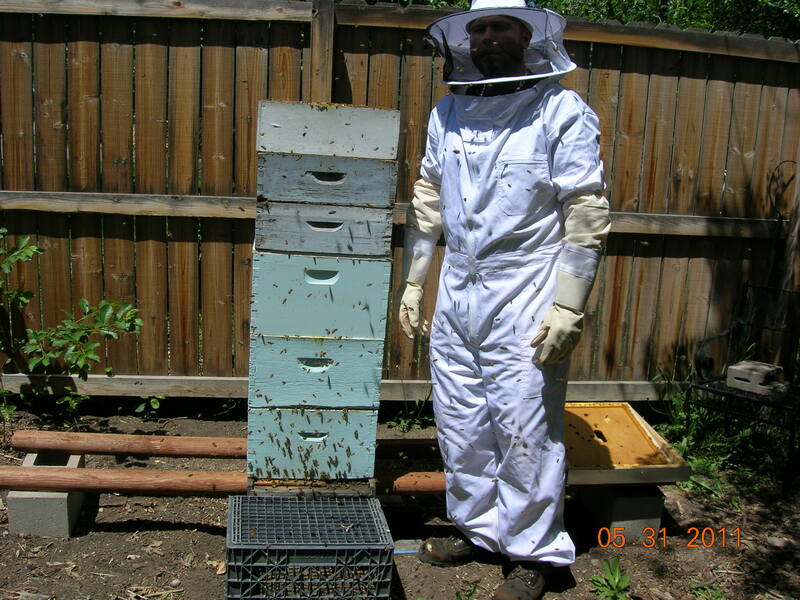 Don Studinski is a hobby beekeeper keeping bees in the Denver metropolitan area. He can be reached at dstudin@yahoo.com.